Van racking includes storage equipment, such as shelves, cabinets, toolboxes, and cupboards which are specifically designed to be restrained in the cargo compartment area to provide safe storage. Done right, van racking can be a cost effective solution for organising the tools and equipment you require in your van every day. The racking system should be fitted in strict accordance with the manufacturer’s instructions and needs to have been tested under R17 crash pulse conditions. Ensure the racking doesn’t interfere with the adjustment of the seat or head restraint or have the potential to interfere with the performance of the occupant safety systems such as the seatbelts or airbags. Consider other elements of the design in terms of safety such as self-closing doors and drawers in racking systems. This will eliminate the risk of them being left open in transit. The correct positioning and installment of racking is crucial for safety and efficiency. While equipment needs to be easily accessible, racking and shelving systems should not extend along the full length of the cargo area of vehicles as this has the potential to provide a direct load path to front seat occupants in the event of a rear impact. It is stated in the DfT Code of Practice that closed vans must be fitted with a partitioning system to separate the passenger compartment area from the cargo compartment area. A report by Arval found that an increased payload contributed to a loss in fuel efficiency: with a 75% payload fuel economy dropped by 21.2% in tests the firm carried out. Therefore it’s worth considering if heavy, van racking will hinder your vehicle’s performance. Having said this, good, modern, lightweight racking can help to maximise the carrying capacity and payload of a vehicle and generally increase its efficiency in use. Vehicles should be loaded in a way to maintain vehicle stability and limit the potential for cargo to cause harm in an accident. Heavier cargo should be placed as low down in the vehicle as possible or placed at the bottom of stacked items. Cargo should be spread evenly over the floor of the cargo compartment area in order to avoid exceeding the axle weight limits and/or placing too much load on one side of the vehicle. Loading cargo up against a racking system should only be carried out under the recommendations of the racking system manufacturer (Chapter 9). All racking systems should be loaded according to the guidelines provided by the manufacturer. 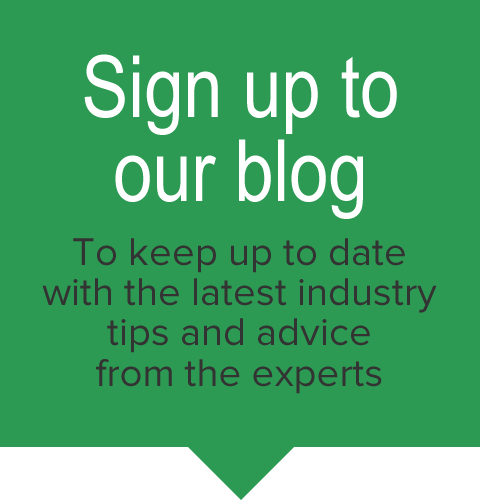 In order to comply with safety guidelines, you’ll need to ask yourself: Have the cargo carrying capacity of the units in the racking system been provided and labelled by the manufacturer? And have any unauthorised alterations been made to the racking system? Regular inspections and maintenance regimes should be carried out on the racking system to check for signs of wear and tear and ensure the safe restraint of cargo under accident conditions. Employers have a legal and moral duty to provide reasonable and practical provision, assessment, maintenance and training on the use of the cargo restraints used on their vehicles. 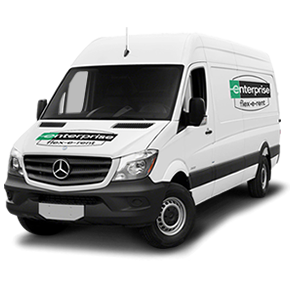 Whether you need van racking or specialist equipment, Enterprise Flex-E-Rent can supply vehicles to your exact specifications.